We encourage buyers to accompany our inspectors, so you know exactly what you're buying. You get on-the-spot reporting of the property's condition and tips for ongoing maintenance. Shamrock's knowledgeable inspectors will answer your questions about house systems, components and repairs. After the inspection, you will receive a detailed, 30-40 page report that includes color photos, and addresses the overall condition of the property, major concerns, safety issues and repair items, along with helpful home preservation tips. 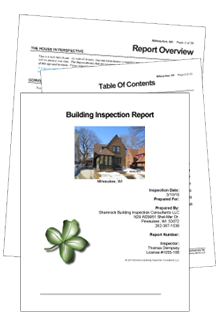 This custom report can also serve as an accurate historical reference of the home's condition and ongoing maintenance. Inspection reports will be emailed to you by our team at Shamrock by Noon the next business day following your inspection. Walls, floors, ceilings and windows. 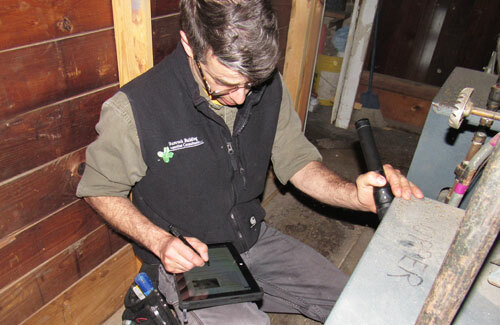 Inspections are not just for buyers and sellers. Our inspectors can conduct a Review Inspection of your property anytime to identify maintenance issues, so you can keep your property in tip top condition. It's like a tune up for your home.